Andy Murray was eased to 10-3 to win Wimbledon by Betfred after he was sensationally sent packing in the first round of the Aegon Championship by Jordan Thompson. Five-time Queen's Club champion Murray, who will be defending his Wimbledon title on Monday week, was defeated 7-6 6-2 by Australian Thompson, who was beaten by Yuichi Sugita in the final of the Surbiton Challenger ten days ago. 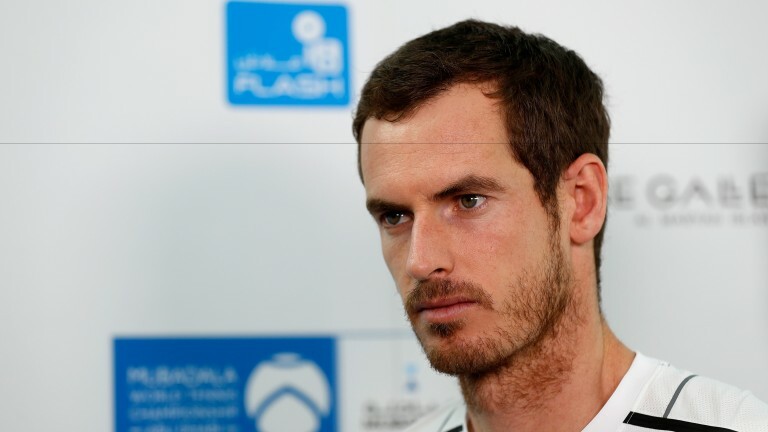 It is the latest disappointment for world number one Murray, who has claimed only one title this year, in Dubai in February. Murray, who was 13-8 to go all the way at Queen’s, wasn't the only big-name casualty on day two of the London tournament. Stan Wawrinka, who lost to Rafael Nadal in the French Open final ten days ago, had no answer to Nadal's fellow Spaniard Feliciano Lopez on the lush grass, while Milos Raonic came unstuck against Thanasi Kokkinakis. In Wednesday's matches take Kirsten Flipkens to outshine Roberta Vinci in their Majorca Open round-two clash. Grass-lover Flipkens could enjoy a good time of it in the short green-court campaign. Flipper, who fought back from a set down to defeat Mandy Minella 3-6 6-3 6-2 in her Santa Ponsa opener, made the Wimbledon semi-finals in 2013. At 31, the Belgian has a three-year pull on 2015 US Open finalist Vinci. Sixth seed Vinci opened with a 6-2 6-1 win over doubles partner Sara Errani, a late replacement for Anett Kontaveit. In Edgbaston dual Wimbledon champion Petra Kvitova, who started with a 6-2 6-3 defeat of Tereza Smitkova, will meet British wild-card Naomi Broady, a first-round victor over Alize Cornet.